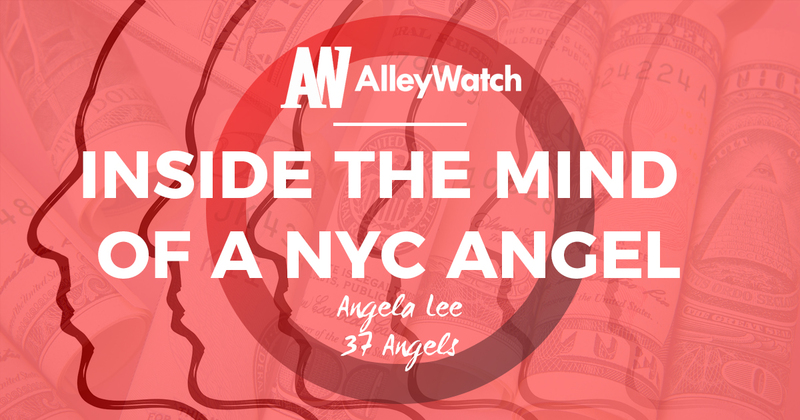 Welcome back to Inside the Mind of a NYC Angel Investor, a new series at AlleyWatch in which we speak with New York City-based Angel Investors. In the hot seat this time is Angela Lee, Founder of 37 Angels and Chief Innovation Officer at Columbia Business School. 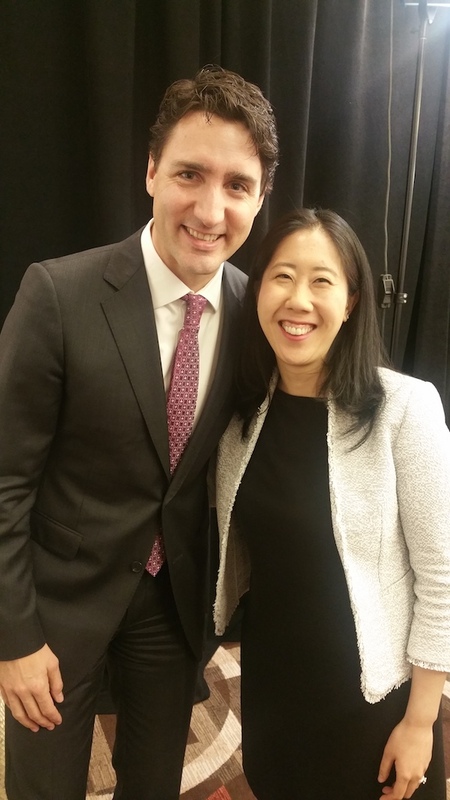 Angela sat down with AlleyWatch to talk about the lessons learned across the four ventures she’s founded, 37 Angels’ investor bootcamps, her recent meeting with Canadian Prime Minister Justin Trudeau, curricular innovation in higher ed, and much more. Bart Clareman, AlleyWatch: Tell us about your journey into the angel investing business and how you came to found 37 Angels? Angela Lee, 37 Angels: I started angel investing accidentally, which is, I think, what a lot of angel investors don’t tell you. One of my best friends was directing a movie. It was a movie I wanted more people to see; I wasn’t involved in the production I was involved in the distribution. It was to promote mental health awareness in the Asian community. I invested, lost all my money, and then all of a sudden I was an angel investor. Once people know you write checks, all of sudden you start getting deal flow. For about 3-4 years I haphazardly looked at deals. Then in 2012, I decided I wanted to be more thoughtful about it. I looked around at the different angel networks and decided I wanted to start the angel network that I wanted to be a part of. According to the 37 Angels website, “Our mission is educating early stage investors” – what are the main gaps that exist for new angel investors? The bootcamps we run teach the nuts and bolts of angel investing. The goal is that after you go through our bootcamp you can look at a pitch deck and understand at a high level what the important questions are to ask. You also know the “lingo” of angel investing. On top of that you understand our philosophy around angel investing, which is efficient, founder friendly, network-driven. And, you walk out of the bootcamp with a network of investors that you trust. It’s interesting. I pause because you asked about learnings for new investors, but I’m shocked at how many very experienced investors – if you asked them to calculate a very simple cap table couldn’t do it, or don’t truly know what liquidation preference means or don’t truly know what most-favored nation status means. Once people have made a few investments, they are afraid to ask those “dumb questions”. We’ve tried to create a very safe environment, and it works for us. We’ve had people go through the bootcamp a couple of times, especially the math portion. I’ve had people in VC want to take the bootcamp in secret. They will say, “I want to take the math module but don’t tell anyone I’m taking it” and for me the answer is “sure.” It’s not a reflection on them, they just never got taught those things. It’s hard. If you Google “convertible note” there are a gazillion articles out there but no one really explains what a convertible note is, and then you feel dumb asking. So again, we try to create a safe environment to ask those questions. My day job is as an educator at [Columbia] business school, so naturally I believe in the power of education. 37 Angels runs bootcamps for investors in the network – what do those consist of and how has the program evolved over the years? We’ve done 25 of them, about 3-5 per year. One way they’ve evolved is the first several times we taught it, it was much more like, “here’s the bootcamp, I’m going to teach you this or that.” Over time, the ratio of time that’s me speaking to participants asking questions has gone from 90-10 to 75-25. So they’re asking more questions and the sessions are more audience-driven. It’s a much more mutually-created experience. It’s a very intimate experience – we only have eight to 10 participants per bootcamp, and that’s on purpose. I also think the audience has changed a lot over time. If you look at our last cohort, we had the head of Corporate M&A at Colgate in the program, we had the Head of IP at IBM, we had people from family offices taking it – so it’s not just angel investors. We had a woman take our bootcamp a year ago and now she’s working at Greycroft. It all is to say, the bootcamps are not just for angel investors anymore, they’re for anyone interested in the space. The reasons why people take it have changed a lot. Tell us about membership in the network itself – how many members do you have and what are the ongoing benefits for a member of 37 Angels? We have 70 members; it’s 80%-referral driven. I interview every person; you have to apply with a paper application, and I interview every single person – we only want to have good eggs in the network. Our culture of founder-friendliness, efficiency, transparency and helpfulness is very important. As far as ongoing benefits, certainly there’s the deal flow. We look at 2000 deals a year and share the best 50-100 with our network; my staff of three investment associates does that. So that’s certainly one benefit. Another big one is the network. Having 70 really smart people in one network means that if a member says, “hey, I don’t understand the composting business, how about you?” or “I don’t understand natural language processing, do you?” chances are somebody will. I think that’s a huge benefit. We also do ongoing education. We just did a cap table deep dive and an industry overview on virtual reality. We’re doing a venture debt deep dive in the Fall. On the 37 Angels website there are testimonials from founders who have pitched your group – words like “refreshing” and “entrepreneur-friendly” and “genuine” and “thoughtful” abound. What is different about pitching to 37 Angels that founders respond so positively to? The number one thing we hear is efficiency. If on the very first call it’s a no, we tell you. We don’t say “maybe” or “it’s too early.” We try really, really hard not to tell a founder either of those. Sometimes we’ll tell a founder, “it’s not a fit,” and they’ll ask if they can come back in three months and we’ll say no. I think it’s really important not to waste founders’ time. “Maybe” was the worst thing to hear when I was a founder on the other side of this equation. I think that’s a big part of it. The thing I’m happiest about is that 75% of those testimonials on the website came from founders we did not fund. So we told them “no, we’re not giving you money” and then they turned around and wrote us a positive testimonial, and it’s because getting to that no was so painless. We genuinely try to do what’s best for the deal. Obviously “win, win, win” is not a new term. But for us every deal has to be a win for the founder, a win for the Seed investor, but then also a win for the Series A investor. We’ve had dialogues with founders where we’ve said, “You’re valuing yourself at $2M, but I think this is more like a $3.5M,” even though it’s quote unquote worse for me, it’s better for everybody and that’s a better investment to be in. Obviously we’ve had the other conversation, which is you’re raising at a $10M valuation but you’re not going to be able to raise an A at a $15M, so why don’t we ratchet that down to $5M. We’re doing it not because we want a better deal, but because it’s better for everyone involved if that company gets funded today and raises an A and a B and so forth down the line. Two-part question. 37 Angels sees 2000 deals a year (almost 10,000 in its life), and you’ve said that for the angel network a main function is deal curation; of those 10,000 deals you’ve seen, you brought 300 companies to the group and 42 received investment. Part one: tell us about the curation process – what do you look for in companies to go? We look for amazing teams in competitive markets. I don’t think it’s a unique perspective, but we definitely spend a lot of time talking to the team and getting a sense of them, and we spend a lot of time diligencing the market so we can answer the question of whether this is a market we want to be in. Beyond that we’re obviously looking at deal terms that make sense and some amount of proof of concept. We don’t only invest post-revenue, but we only invest post-proof of concept – we won’t invest in an idea on the back of a napkin. Part two: looking at the 42 companies the group has invested in over the years, are there certain verticals or company profiles that are attracting particular interest from your network? We look for organized hustlers. We’re a relatively well-networked group, and on the very first call, especially if I’m on the fence, I will sometimes say, “someone in our network is the CMO of X company,” and then I see if they follow up, which they should, because that’s a sales lead. That’s something that I look for – do they follow up on opportunities and do they do it in a thoughtful way? Like a lot of investors I will do a quick Google search before a pitch. If I discover a pretty major competitor and it’s not on the competitor slide, I’ll always ask why. The answer should not be because they’ve never heard of it – that’s frightening. Sometimes, founders like to hide competitors from investors, and there’s no reason to. First of all, if there’s a lot of competitors – good, that means a lot of people are trying to solve this problem and it’s a legitimate problem. If there’s a huge player in the space – great, that’s a potential acquirer. We look for people who genuinely have a thoughtful perspective on where they sit in the market and they’re not afraid of their competition. You said in an interview that you started 37 Angels to close the gender gap in angel investing. It’ll be 5 years since you founded 37 Angels in November – how has the gender gap evolved in that time from the perspective of people who apply to join 37 Angels, and the companies that apply to pitch to the network? The numbers when we started were 13% of angel investors were women; now it’s 18-20%, so there has been progress. But I do still get asked the question, “is your network all rich housewives?” I get asked sometimes where my money comes from or what my husband does, and I always say I’ve been married for seven years and angel investing for 10. The frequency has decreased but I still get those questions. You met recently with Canadian Prime Minister Justin Trudeau on how to increase diversity in STEM and entrepreneurship. What consensuses did you and the 14 other attendees reach? Are there any initiatives or approaches that you think are particularly valuable? I think one clear theme is that positive intention is not enough. We’ve all had positive intention around diversity for a really long time, and all of us in the room agreed that’s not enough. We talked about processes and systems, and we also talked about technology. From a processes and systems perspective, something that we talked around is that “quota” is a very ugly word and that it scares a lot of people. Hiring quotas and funding quotas are very scary. However, I think there’s very little downside with pipeline quotas. A pipeline quota is, if you’re hiring for an investment associate at a VC firm, you have to interview X number of women and X number people of color. I’m not saying you have to hire that many people, but you have to see that many people. There’s very little downside to that policy. It’s the same thing for us looking at startups. We are trying to broaden our pipeline; something we’ve had a bias for is educational pedigree. Because of where I sit I know a lot of people with Ivy League degrees, so now we’re trying to open up our pipeline in that dimension and looking for people with different educational backgrounds. From a technology perspective, there are startups that are doing great work in that dimension. Blendoor has been getting a lot of press lately; it blinds the hiring process. They call it “merit-based matching” – you don’t know the gender or ethnicity of the resume you’ve been looking at, you’re purely doing interviews and hiring based on skillsets. A study that’s been quoted a lot is orchestras – they now put up a screen so you can’t see who is playing the instrument and the number of women in orchestra seats has gone up from 15% to 35%. It raises the question for me – how important is political leadership and advocacy for decreasing the gender gap, and how much responsibility falls on government versus private enterprise? That’s a big question. I would say, in a best case scenario you have both top down (governmental) and bottom up (corporates and individuals) participation. However, I think that without participation at the top, that doesn’t mean private companies and private institutions can’t do amazing things. The Tech Inclusion Pledge did stem from the government. I was at the White House last Fall talking about the Tech Inclusion Pledge, so it did stem from the government, and it’s still happening now even though all the people who created it are no longer sitting in the White House. Again, ideally you have both top down and bottom up, because it probably is faster. But I think without government support it’s even more our individual obligation. What’s interesting is, without getting too political, what I’ve noticed with Trump getting into office is it’s lit a fire in a lot of people’s bellies that these topics have become even more important to them. A year ago, I was having what I’ll call “feminist ennui”. I was thinking, “there’s too much chatter around this stuff”. I actually thought the feminist movement was almost fixed, and that it was time to move on to helping immigrants, racial minorities, and folks without educational pedigree. I wouldn’t have said it in those words, but I was having a bit of fatigue around the whole feminist movement. And now I know that that is not true. Sitting here today I would say that everything we’re doing absolutely matters. I am feeling more of the impact of what I’m doing, and I’m feeling more connected to our mission. That was a positive thing that came out of the Trump election. I was very much in the “this is never gonna happen” camp, and boy was I wrong. All this being said, we are always trying to expand how we define diversity and how to have impact. Switching gears, you mentioned earlier that 37 Angels is your fourth startup – what are your greatest learnings from your past companies that you can now impart to founders in your portfolio? Hiring is something I spend a lot of time talking to founders about. One rule of thumb is if your gut feels like it’s the wrong choice, then don’t hire that person, because it’s so much harder to fire someone than to not hire somebody. Hiring is really hard. Middle management is really hard as well. A lot of founders forget about middle management, they obviously know they need a CTO and they need developers, but at a certain point when you get to a team of eight developers you need an architect or a VP of Tech. Same thing with Sales. People totally know what it means to hire a salesperson but what does it mean to hire a sales manager? It’s a very different skillset, and promoting your best salesperson into a manager is potentially a really bad move. Just because you’re a good salesperson doesn’t meant you can manage a sales team. That middle management layer is really hard to get right. Hiring is a huge one. Another hard learning is that inflection point when you go from a startup company to a growth phase company. Founders don’t know how tiring it is. Year 3 or 4 of a startup, it’s exhausting. It’s so exciting to get to your first $1M in revenue, but to get to $3M is just not as exciting, or to hire your eighth salesperson just isn’t that exciting. It becomes more of a slog, and I think founders don’t realize it’s a minimum 5-year grind, if not 10. People don’t realize that. Separate from your work at 37 Angels, you’re also Associate Dean & Chief Innovation Officer at Columbia Business School. To what degree, and how, does your work at Columbia influence your work at 37 Angels? One way is, I care about the pedagogy of teaching, I think a lot about the curriculum of 37 Angels whether it is the best possible curriculum to teach people to be angel investors, venture capitalists, accelerator heads, and family office investors. On a daily basis I think about a tweak I can make to a slide or an extra case study I could add. If you were to look on my phone you’d see I have a Google Task called “37 Angels Curriculum” and it’s got about 60 notes in it of little things that I want to tweak. Another aspect is being at a school where the goal is to spread ideas gives me energy. Beyond that, certainly education technology is where there’s the biggest overlap because I’m responsible for online learning and teaching technology at the Business School, and I look at a lot of edtech. So that’s the one where it’s hardest for me to separate myself as a consumer versus an investor, because there’s a ton of products that I love as a consumer, but I don’t necessarily think of them as a great investment. So I need to make sure I’m wearing the right hat. I’m a board member and an investor and a teacher and also a purchaser of education technology software, so remembering which hat I’m wearing in any given meeting is important, but it’s also part of the fun that I get to see it from all those different perspectives. It’s been said that academic institutions change only less slowly than the Catholic Church. You’re responsible for innovation at one of the leading business schools in the world – how do you assess the veracity of that claim? I do think that education tends to lag the startup ecosystem, just because to find an expert who can teach something, the industry they’re teaching can’t be completely nascent – that’s just the reality of developing curriculum. That being said, I think all the top business schools are trying to contradict that quote. If you look at Harvard, they have the FIELD program where now everyone has to do something in entrepreneurship. Now, was entrepreneurship a brand spanking new idea when they did that? Absolutely not, but I don’t think it took them that long to realize that entrepreneurship was really important. I applied to Columbia in 2005, and my application essay question was, “entrepreneurship is at the center of everything we do, how are you an entrepreneur?” That was 2005, which I thought was pretty innovative! Stanford and MIT are doing amazing things around education technology in terms of delivery mechanisms and also on the curricular side. At Columbia, I’m responsible for both teaching innovation from a delivery and curricular perspective. We’re doing a pretty cool partnership this Fall with Citi Ventures – students are going to be working on fintech projects, on cutting edge technology. We launched a big data course in 2012. We saw it as a need in the marketplace and built the course. I feel that higher ed is doing a much better job at being current. At a more macro level, I don’t think anyone who is senior in higher ed doesn’t recognize this problem and we’re all doing things to fix it. Is higher ed curriculum development as nimble and turnkey as we’d all want it to be? No, but I think that all the top schools are thinking of ways to address this. You said in an interview in 2015 that a goal of yours was to write a book. Do you have a topic picked out and have you made any headway? I have a book proposal written, and I am meeting with agents. I don’t know what I’m allowed to say, but the topic is, not surprisingly, investing in startups. Hopefully I’ll have more to say about that soon! Say more about that, how do you define your investing philosophy? To say that I would only invest in a potential unicorn leaves a lot of great companies in the cold. Especially because I’m an angel investor and I invest when companies are worth $3-7M, a $50M exit is a very happy day for me – that’s a 7-15x right there. Just because of the mechanics of fund math versus angel math, I don’t have to invest only in unicorns to make a lot of money. But I also think a lot of amazing companies wouldn’t get funded if you only invested in unicorns. A title I’m considering is Unicorn Fever and how people are focusing too much on unicorns. You mentioned fund math versus angel math – do you ever think to go VC? No. What’s fun for me about this is not investing other people’s money. What’s fun for me about this is working with founders and helping people figure out their customer acquisition strategy and hold their hand when their cofounder is driving them crazy. That’s what I like. Being fiduciarily responsible to an LP is not at all interesting to me. I think that trend following is silly, so no. Today, the topic is VR & AI, three years ago it was Internet of Things and two years before that it was big data. Now everything I get pitched is a machine learning company – trends change over time and I think it’s just very silly, so there are no trends I’m watching from an investment perspective. As a consumer, what’s exciting to me about AI is it’s becoming accessible in a way that’s not about robot companions, but rather it’s about genuine cost savings and revenue enhancement. AI used to be this incredibly far away, really aspirational geeky thing. What people don’t realize is AI’s been part of our lives for a very long time. When you add a filter to your email and say I want to put this type of email into a different folder, that’s artificial intelligence right there. It’s obviously very rudimentary, but I think companies are now starting to realize that and recognize that there are real cost savings to figuring out what size box this shipment should go in. That is artificial intelligence saving companies billions of dollars each year. I think there’s a true business case for AI, so I’m excited for the world that AI is getting so much attention, but as an investor I’m a little tired of every company being a machine learning company. What would your portfolio companies say about you or 37 Angels as an investor? A lot of angel investors are aggressively helpful, and it’s really hard to have like 15 people trying to help you each week. Investor management is something we talk to our founders about, and I hope they don’t have to manage us too much. That’s really hard; I love books. Power of Habit. I love books about life management, and it is a great life management book. He talks about keystone habits and the things you can do in your life to amplify happiness. What are the things you can amplify in your life that make you a better person and a more effective person? That said – I have like 75 answers to that question. What’s the most underhyped part of the tech ecosystem? The category of companies that I’m actively thinking about how I can help are the ones that aren’t venture fundable. These companies are going to make $2, $5, $7M per year, they do need startup capital now, no bank is going to give them a loan, and I think venture debt, royalty-based financing, that category of company right now – I’m actively thinking about how we as an ecosystem can help them. The problem is, right now I believe the vehicles around that make the investor take all the same risk as in traditional venture funding, but there’s not the same upside. So what do you do to match the risk to the upside? I don’t think we’ve figured that out yet. I’m hoping that bootstrapping will be in again soon. I’m someone who has bootstrapped three startups and I very much believe in it. Bootstrapping just means you go into a corner and figure things out for yourself. There needs to be more support around founders who are bootstrapping. “Lifestyle business” should not be a derogatory term but right now it is. Is there a startup investor you particularly admire? Albert Wenger at Union Square Ventures. He’s smart, he is super accessible – he’s at Union Square Ventures, he could have a huge ego about him, but he has none. I really like his intellectual curiosity, and I think he’s doing this at this point to make the world a better place, and I respect that about him. He’s just a good person; you know that within a second of meeting him. His intelligence is only secondary to how good a person he is. One iconoclastic take: How will the world be different in 20-30 years? This might be showing too much of my political cards, but that’s OK. America is, obviously, hugely capitalistic and very focused on short-term results. I hope that in 20-30 years that is less true, and that long-term gains, slow gains are rewarded. You know, sometimes not growing is OK. I get asked this question all the time: “what’s next for 37 Angels?” And I’m like, what if we just didn’t want to grow? Would that be so bad? Growth for the sake of growth is hurting America. My hope is that it doesn’t take something really catastrophic for us to get there, but I would like what’s deemed successful in our world to be a fundamentally different definition in 20-30 years. I think it’s starting to happen. Was there anything you were hoping we would cover that we didn’t get to? I thought you were going to ask me for random advice, so I have something in mind for random advice. My random advice is that people in the entrepreneurship community don’t talk about relationships enough. If you’re a founder and you’re about to go do this, you need to have a really serious conversation with your significant other and your family and be really honest with them about what it’s going to be like to be in your inner circle for the next three years. Which is effectively, “I’m going to be a crappy girlfriend/boyfriend/spouse for the next X years.” I don’t think people think about that.